The first is the idea of escape from inactivity or confinement, as mentioned above, and the second is the GOING and DOING aspect. So if you’re someone who likes to be active when they learn, take a look at the two rather special courses I am offering: Out and About in London, and A Course on the Course. This is a course which can be taken either as a part of a 1-1 course, or as a stand-alone course in its own right. ‘Out & About’ is a course that makes London the classroom. Lessons take place in and around London – at famous sights, in museums and galleries and in special areas of the city. 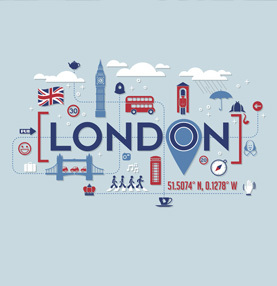 Anyone interested in London who wants to improve their conversational skills, their knowledge of London and their ability to talk about history, geography and the arts – and who is happy to work while they walk! How are the sessions organised? I meet the student at or near the venue. We look together at my specially-prepared information sheets, which include a language exercise – eg a vocabulary ‘gap-fill.’ The ‘task of the day’ – for example describing a painting or a room, or comparing two buildings – is then explained. Then there is the visit itself during which the student writes down vocabulary and I note grammatical corrections, pronunciation points, etc. After the visit, there is a feedback session when all these notes are reviewed and organised. What places do you visit? This depends on the student and their interests. If someone has a particular interest – eg art, architecture, sport – then we can organise a course focusing on this topic. Does it really improve your English? Yes! It’s a very practical, effective way of learning. 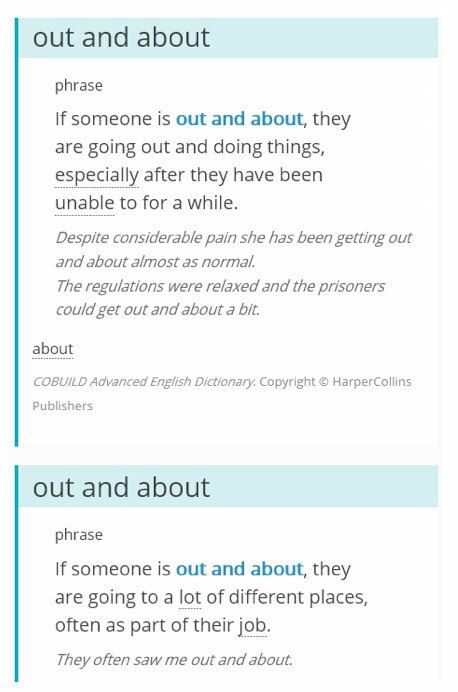 An ‘Out & About’ student learns – and then uses – vast amounts of vocabulary. A very large proportion of the time is spent in conversation, and so comprehension and fluency are greatly improved. ‘Functional’ English (making arrangements, inviting, thanking, etc) is practised in a completely authentic context, and grammatical skills are naturally developed, too – for example question formation, comparisons, passive structures. One of my passions is golf, and I am now offering a very special course to those who share that passion and want to improve their English at the same time. This ‘course on the course’ can take a number of forms. It can, quite simply, provide an opportunity to practise and develop conversation in natural, social English while playing. Alternatively, the round can be used to focus on all the vocabulary associated with the sport, right from the basics through to the intricacies of match-play formats. Finally, for those with more advanced English, it can be the chance to explore the clichés, the jargon and even the jibes encountered when playing the noble game. In each case, half-an-hour is set aside before and after the game for introduction and feedback. Participants are welcome to enjoy the attractions of Rob’s home course on Wimbledon Common or play on any course of their choice. Provider of top-quality language training for over 30 years. © 2017 ELT. All rights reserved.